Lately, superheroes are everywhere. They fill the pages of classic comic books, they grace the screens of big budget movies, and they can even be found in the world of article writing! Yes, you heard it correct. There are outstanding article-writing superheroes who rise to the top with their quality content and ethical marketing practices. We are thankful for their existence because there are also devious article-writing villains who lurk in the corners of the Internet waiting to lure others into their scheming ways. Are you playing the role of a superhero by giving your readers valuable, original content? Or have you fallen victim to the villains? Let’s meet the cast to learn more about the superheroes and villains of article writing. 1. The Pushy Promoter – The Pushy Promoter loves to push his products in the face of his readers. Building trust and creating value means nothing to this aggressive villain! His tactic of forcing his opinion does NOTHING for his popularity. Readers run away at the sight of his hard-selling ways. 2. Master of Deception – Tactics of this deceptive villain include: robotic-sounding social media updates, using article spinners to generate content, and implying false scarcity like “Buy Now! Limited Time Offer!” in his Resource Boxes. His tactics are a waste of time and simply frustrate readers when they discover the truth. The content sounds artificial, causes confusion, and doesn’t lure any prospects. The Master of Deception never wins. 3. The Rambling Rewriter – The Rambling Rewriter has a way of regurgitating old information and presenting it as brand new. He doesn’t concentrate on writing unique content, which simply bores his audience. If this villain tries to persuade you to repurpose your old articles without adding any additional value, just say NO WAY. 4. Madam Keyword Abuser – Keyword stuffing is a practice that is aggressively shut down by search engines, but that doesn’t stop this villain! She continually attempts to fool search engines into sending traffic her way by stuffing unrelated keywords and using confusing, unnatural keyword variations throughout her content. Use the Google Keyword Planner to view keyword recommendations and build ranking to avoid temptation from Madam Keyword Abuser. 5. The Fraudulent Friend – This disliked villain tries to inflate his popularity by purchasing social media followers, page likes, and content views. He is constantly breaking trust with his readers when they find out his fans are fake. Don’t follow the sly ways of the Fraudulent Friend. Keep your hands clean by marketing yourself professionally and you’ll be respected for your genuine efforts. Luckily, we have a strong team of superheroes that are ready to battle evil content marketing villains until only quality content prevails! 1. Doctor Wordsmith – Informative content is the epitome of quality writing; and submitting exciting and unique articles is what Doctor Wordsmith does to rise above derivative or spammy content. Be a true contender in your niche by delivering new value when others are just regurgitating old information. If your content lacks originality or personality, it won’t matter how much you write because your audience will be long gone. Set a good example by offering 100% original, informative content every single time. 2. The Talented Repurposer – The Talented Repurposer is an intelligent writer who publishes their articles over multiple platforms. Your content can reach a wider audience when packaged in article sets, eBooks, or visually stunning infographics. Create videos that touch on the main points of your articles and submit them to your social media pages. Turn quotes from your content into pins on Pinterest; or create Internet memes from your article topics to add humor. You can also build PowerPoint presentations from your articles and upload them to SlideShare with a keyword-rich headline. These are traffic magnets to attract readers! 3. Captain Authorship – Captain Authorship knows that one great way to brand yourself as an expert author is to link your content with Google Authorship. It’s just one more way to link your quality content to your online persona, which helps to build trust. 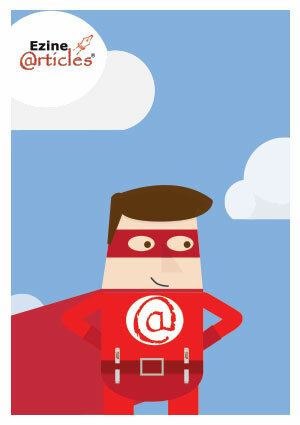 Follow Captain Authorship’s lead and look into Google Authorship today! (Update: On August 28, 2014, Google announced the discontinuation of Google Authorship. For those who were already connected, Google said their tests showed the removal of Google Authorship did not seem to reduce traffic to sites). For other ways to establish your credibility as an author, we suggest adding a credible Author Photo, completing your Expert Author Profile, adding an ‘About Us’ page to your website, and ensuring you’re honest and transparent in all of your articles. 4. The Traffic Agent – Measuring data is a top priority for authors who are focused on success. Be a Traffic Agent by understanding where your articles are making the most impact, then syndicate them in areas of good traffic. You can use integrated CRM and web analytics systems to view your prospects’ activities, figure out what’s driving them, and automate reports to track your success. Compare one or more articles against each other to gather data on where you can maximize future content. 5. The Social Connector – A social butterfly since birth, the Social Connector continually searches out new, promising social media avenues that cater to her fans. Social media continues to evolve with an increasing demand for interesting and newsworthy content. The challenge is to rise above the pests and deliver beautiful content to all. Be hero with your positive ways, put yourself out there, and expand your audience! 6. Evergreen Man – Relevant content helps build authority and improve your ranking in search engines. From the latest trends in your niche to new product reviews, write articles that are valuable to your readers. Article writing won’t work if your content is stale. Keep it fresh, but also timeless. The Evergreen Man has a responsibility to write content that will stand the test of time. Instead of discussing specific events, discuss the greater issue surrounding the event. These articles will be relevant for years to come! 7. The Video Pioneer – Finally, the Video Pioneer knows that videos have a strong influence. He creates videos to accompany his articles in order to showcase his expertise in another medium. With the use of video, your articles can be shared through social media sites like YouTube, newsletters, and podcasts. YouTube has a Video Annotations feature to add commentary or links in your videos, which is a great way to link to your library of articles! Try responding to customer questions with a quick video on your website. Imagine their reaction when they see their answer spoken to them, rather than in writing! While it would be wonderful if the world was full of superheroes, we know that villains exist, and it’s no different in the world of content marketing. Readers want to trust what they read, and the information you provide should always prove you are one of the good guys. If you need help battling villain tendencies, don’t fear! That’s why we’re here. We’d love to help you develop the strong writing habits needed for success in article writing. Ask any questions you may have below, or visit the Library tab of your My.EzineArticles account for helpful training resources. With great power comes great responsibility … Be the best Expert Author you can be! Nice approach! You must have had fun creating these villains and heros. Now I’ll spend time thinking of more, and of using the approach myself in my articles. Very Nice. Try and succeed and enjoy your stay. What a fun way to describe the process of creating trust and credibility with your audience. One flaw I see is that those scarcity tactics DO work, especially for someone who is legitimate. If you just say something is available, people don’t jump to get it. But if they think there is a limited opportunity – scarcity and a deadline – they are more likely to buy from you. Erica, you are correct, scarcity strategies can work when they are used legitimately, in an ethical manner. As we mentioned, it’s the FALSE scarcity tactics that don’t work. This occurs when writers pretend there is a limited quantity when there really isn’t. Readers will likely see through the lies from the beginning. Ultimately, these tactics are unethical and will cause long-term reputation damage! Thank you for helping us expand on this topic! Interesting article. Wish I could write like that. Very clever and a creative approach! I really enjoyed this article, can’t wait for more! Excellent article. I am highly motivated to become a super hero. A simple, well structured piece like this is attractive and easy to read. I enjoyed it. Thank you. Great write up. Making sincere efforts to get into the Superheroes club. It’s an interesting article. I had fun while reading. Now I am going to try these in mine too. Always happy to read articles like this. Thanks for your precious idea. I came to know about several things, which would definitely help me to do the best. Thanks for the article. Happy Sacred Hearts day Ezine and everyone! Excellent post. Thanks for sharing……….